Plymouth University students have paid tribute to those who have made their University experience ‘exceptional’ by holding a special awards ceremony on campus. Dozens, including the University’s Vice-Chancellor Professor Judith Petts, attended the SSTAR (Student, Staff, Teaching and Representation) Awards last week, which recognise outstanding achievements in teaching and learning. The evening recognised the contributions that both staff and students make to the student experience, and categories included Best Student-led Campaign, Exceptional Student School Representative, Outstanding Personal Tutor, and Best Placement Support. Organised by the University’s Students’ Union (UPSU) Student Voice Team, the awards were set up in 2011 and celebrate academics and students who have gone the extra mile to help students achieve their learning goals. Among the winners on the night was Carole Stoddard, an Honorary Lecturer in the School of Biomedical and Healthcare Sciences, whose use of playdough breasts in cellular science saw her scoop the award for Most Innovative Use of Teaching Methods. “The idea behind the SSTAR Awards is to celebrate and reward some of the excellent University staff members and dedicated course and school reps we have here at Plymouth. It is a process that truly demonstrates the excellent relationships and respect that exists between staff and students here. 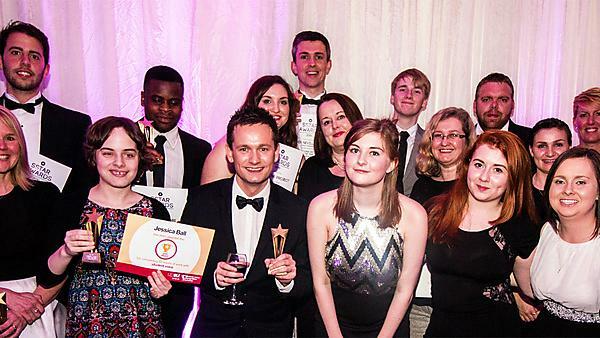 “The SSTAR Awards are a really special part of the University year, as they celebrate the positive impact that students and teaching academics have on each other’s’ lives. Receiving a nomination is hugely significant to the staff member or student involved and, believe me, just knowing that someone is grateful for your hard work is really moving." For a full list of winners, visit the UPSU website.